To fix this problem, simply click on "Fix it for me" button. 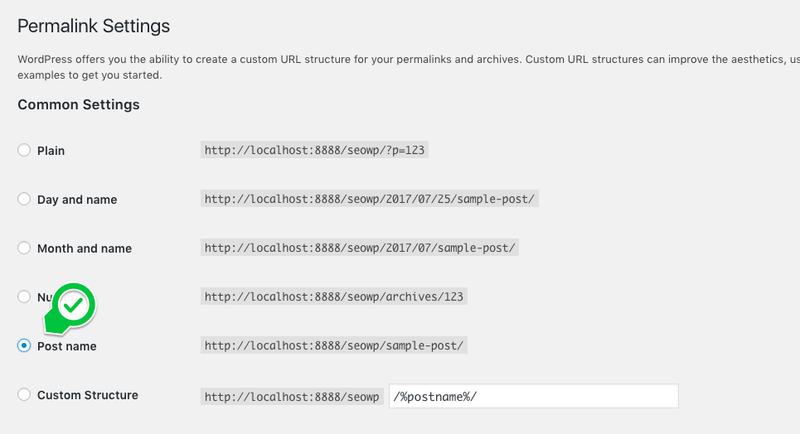 You can also fix it by your own, visiting the WP Admin > Settings > Permalinks and selecting the "Post name" option. For a better search engine indexing, your installation needs to have a friendly permalink structure. By default, the WordPress use the "plain" setting. A friendly/clean URLs contain keywords that explain the article, and they’re easy to read by both humans and search engines.